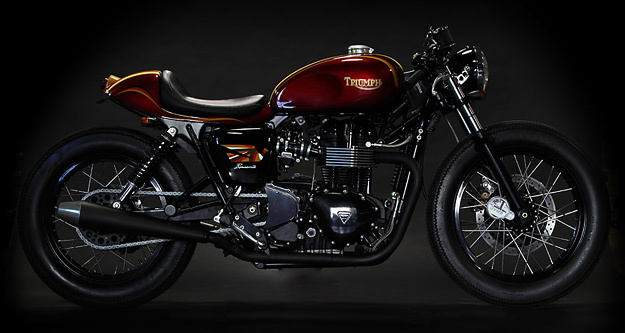 If you were taken with the Triumph Tridays “Rumbler”—and it was one of the most popular bikes we’ve shown so far this year—then this is the bike for you. 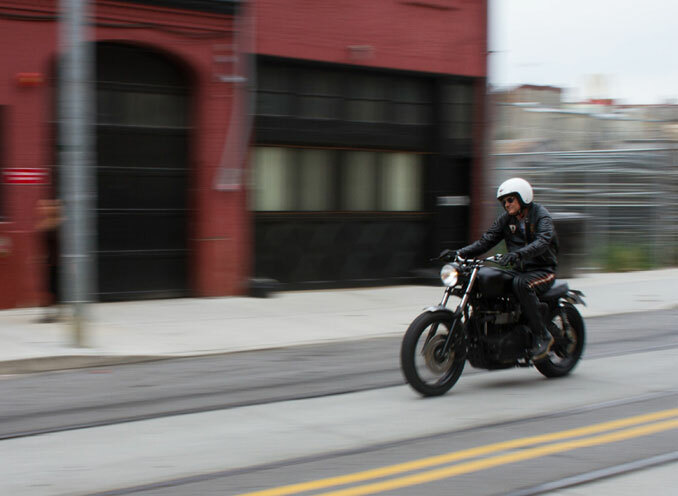 Cologne-based JvB-moto has remodeled the Rumbler for small-scale production, priced it at 15,000 euros (around $18,500) and called it “Dirty Deeds”. And they’ve done good. On Saturday I popped over to Deus for a coffee. 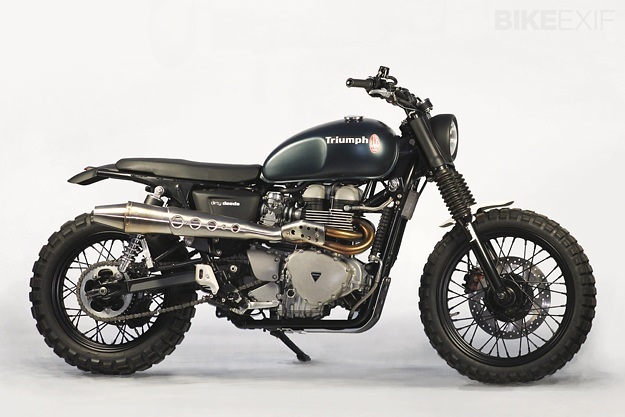 As I arrived, I caught a glimpse of a Triumph Bonneville being wheeled out of the workshop and into the afternoon sunlight; I only saw it for a second, but it was long enough to make an impression. 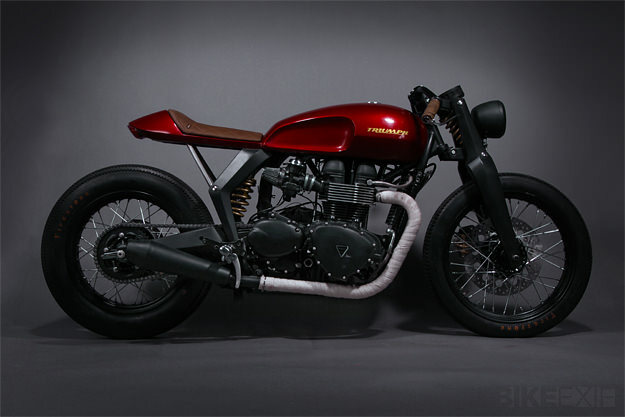 Deus have now released images of their latest custom, and yes, it’s one of their best yet. A lot of work has gone into ‘Dave’s Bonny’—for starters, it’s been lowered a full two inches from stock. 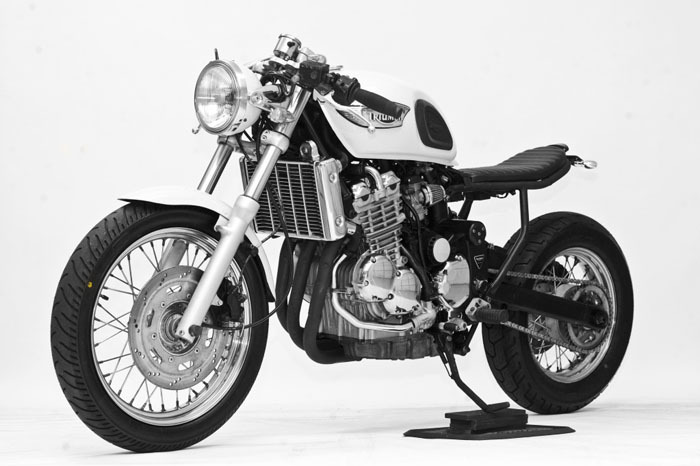 You’ll find the complete build sheet below, but the highlights include a heavily modified Kawasaki W650 tank with the fuel injection unit tucked inside, and 41mm clip-ons from Australian specialist Tingate matched to handbar controls from a Triumph Trophy 955. The fiberglass seat unit is a Deus original, along with the headlight brackets, and the swingarm has been lengthened by 2.5 inches. (The rear frame section was modified to accept the seat and shortened four inches in the process.) The engine covers have been powdercoated black, and the fuel injection bodies are coated in 2-pack gloss black. A complete re-wire—with much of that wiring hidden—completes the look. I don’t know who Dave is, but he’s one helluva lucky guy.